The arrival of cherry season brings to mind visions of cherry pies, cherry turnovers, cherry on cheesecake and bowls of sugared fresh cherries. Yet, the use of cherries goes far beyond desserts and baked goods. Here are three fresh ways to try cherries this week. Instead of a warm piece of pie, cool things down with a chilly slushie from Wood Orchard Market. 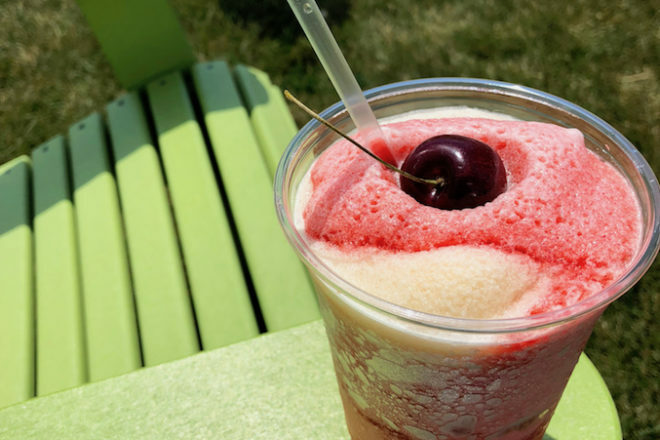 The market just north of Egg Harbor on Highway 42 offers two flavors: an apple cider smoothie using their own apple cider with a hint of vanilla and a cherry raspberry slush using local cherry juice and a hint of raspberry. I recommend mixing the two together for a refreshing and sweet cooldown after picking your own cherries at Lautenbach’s or Hyline Orchard just down the road. Bea’s Ho-Made bakery and store near Gills Rock has an abundance of jams, jellies, sauces and spreads outside of their famous pies. I especially like their Cherry Sauce which incorporates red pepper flakes to add a hint of spice. 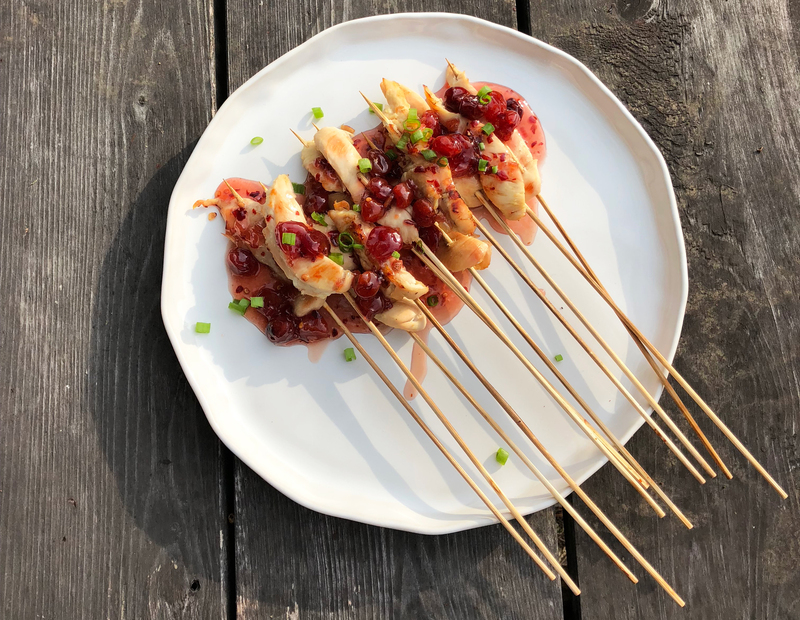 Drizzle atop grilled chicken or pork chops for a more savory, but still sweet, side of cherries. Tart Montmorency cherries make for a unique alternative to traditional relish. 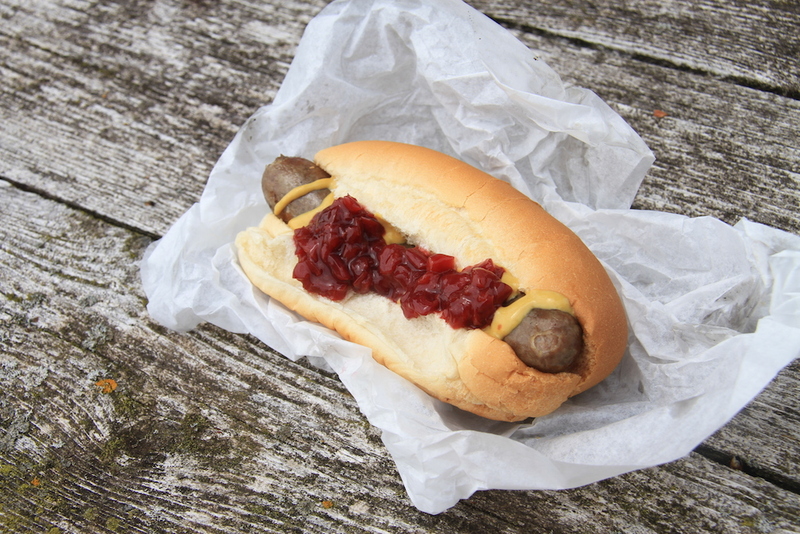 Make your own Tart Cherry Relish and serve on brats or hot dogs for a sweet-but-sour topping. To make, simmer ½ cup distilled white vinegar and ¼ cup sugar in saucepan over medium-high heat until sugar dissolves and liquid reduced to ½ cup. Stir in ¼ cup finely diced white onion and 1 cup finely chopped Montmorency cherries. Dissolve 1 teaspoon cornstarch in 1 teaspoon water and stir into relish. Chill uncovered in refrigerator for 1½ hours until cool.